If you’re trading the four seasons of New Jersey for the year-round sunshine of Port St. Lucie, be sure to choose an experienced mover like Simonik Moving & Storage, an Allied Van Lines agent, for the 1,100-mile relocation! Whether you’re making a move from NJ to Port St. Lucie for a new job, to be closer to family, or for any other reason, we can help ensure a smooth transition! 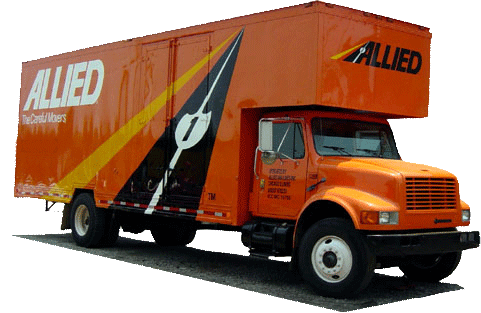 Since 1977, our dedicated team of professionals has provided exceptional service and, as a result, we’ve earned our place as the area’s most trusted long distance relocation specialists! We do all we can to make your New Jersey to Port St. Lucie move as easy as possible, and that includes offering both short-term and long-term storage in our secure facility. Your items will be carefully crated in containers specially designed for long-distance shipping. The crate will be held safely in our warehouse until you’re ready for them to be delivered right to your door! We’ve served the residents of North and Central New Jersey for more many decades including the counties of Hunterdon, Mercer, Middlesex, Monmouth, Morris and Somerset. Over the years, we’ve enjoyed recognition such as wining the “Mover of the Year” award from the New Jersey Warehousemen & Movers Association. Our professional affiliations, including being a ProMover member of the American Moving & Storage Association, helps us stay abreast of new regulations governing interstate moving. That’s one more way our industry experience helps ensure a hassle-free NJ to Port St. Lucie move for our customers! Let us help you with your NJ to Port St. Lucie moving experience! Give Simonik Moving & Storage a call today to speak with a member of our team, or fill out our online contact form to schedule your free, no-obligation estimate.